Harry Rogers, 31, Ling Drive, Gainsborough; failed to comply with requirements of community order. Carry out 65 hours of unpaid work. Emma Padden, 24, of Marshalls Rise, Gainsborough; speeding in excess of 30 miles per hour. Fined £120, £30 victim surcharge, £85 costs and licence endorsed with six points. Kyle Dean, 31, of Francis Chichester Walk, Gainsborough; driving without an insurance policy. Fined £120, £30 victim surcharge, £85 costs and licence endorsed with six points. Lena Kozlova, 45, of Bernard Street, Lincoln; driving without an insurance policy. Fined £660, £66 victim surcharge, £85 costs and disqualified for six months. Lucas Taylor, 29, of Retief Close, Lincoln; driving without an insurance policy. Fined £660, £66 victim surcharge, £85 costs and licence endorsed with three points. Viktors Ulberts, 44, of Cross Street, Lincoln; driving without an insurance policy. Fined £660, £66 victim surcharge, £85 costs and disqualified for six months. 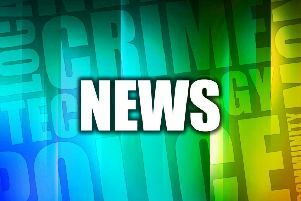 Nicolae Moise, 29, of Sincil Bank, Lincoln; driving without a licence. Fined £220, £30 victim surcharge, £85 costs and licence endorsed with three points. Jason Sturman, 40, of Dunmore Close, Lincoln; failed to stop at red light. Fined £40, £30 victim surcharge, £85 costs and licence endorsed with three points. David Penfield, 66, of Galway Crescent, Retford; driving under the influence of alcohol, namely 79 microgrammes in 100 millilitres of breath. Fined £170, £30 victim surcharge, £85 costs and disqualified for 20 months.